Emotive performances, but an episode that was lacking in excitement. After what feels like forever waiting for an explanation for the last season, the first episode of season 5 of Jane The Virgin was finally released on Netflix on the 28th of March 2019, sparking hope from fans across the world that a resolution would be given. However, after this seemingly long wait, the reveal feels slightly predictable. The American telenovela has gained much attention over the years that it has been running, but the most recent season to be released was one which created incredible tension and excitement from fans. The last season, season 4, left us on a complete cliff-hanger, with Michael (Brett Dier) making a sudden appearance from what seemed like the dead. In this final scene of season 4 we were left with an extremely unexpected situation which presented a number of intriguing possibilities and scenarios. As the newest episode begins, the familiar narrator introduces us into the storyline, recapping Jane’s life over the years learning, celebrating and teaching the tradition of the Day of the Dead. This becomes a sort of satirical theme, as Jane is then presented with the ‘dead’, Michael (who now goes by Jason). This episode does not hold back its attempts at evoking sadness from the audience, as Michael’s introduction as Jason is one which creates such an unfamiliar image to us that we are left feeling completely uncomfortable with his return. This is quite disappointing, as Michael was a definite favourite amongst many fans. We later learn he has amnesia, and that his death was orchestrated by Rose, which was quite predictable because, at this point in the show, all complications seem to point to her. However, it is safe to say that Brett Dier’s performance cannot go ignored. Although the audience are left uncomfortable with his character, the feelings which he invokes in his consistent addressing of ‘ma’am’, and the lack of emotions which he shows towards Jane is something to be applauded; Dier has effectively taken up an entirely new role and character in the show. 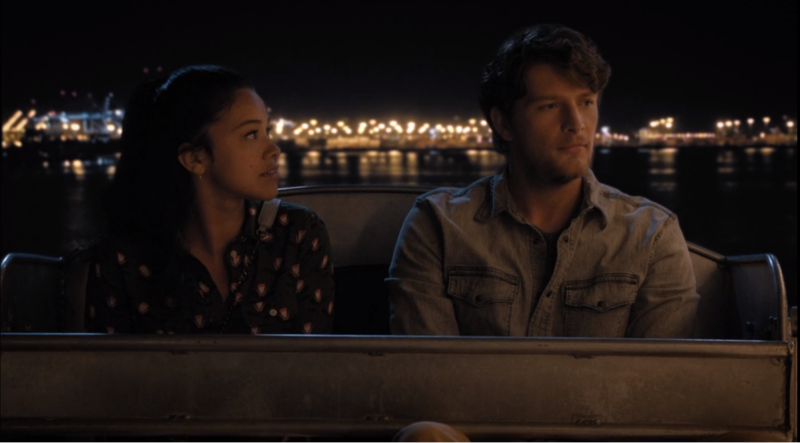 The brilliant Gina Rodriguez, playing the protagonist Jane, completely nailed the role of the confused, grieving wife, with her monologue in this episode encapsulating humour, sadness and panic all at once. The continuous one shot used in this scene creates a powerful feeling of chaos, where the audience are carefully placed in the midst of Jane’s emotions, leaving us feeling like a part of the storyline. This show never does fail to make light of some serious themes, particularly in the character of Rogelio (Jaime Camil) who presents some humorous lines concerning his relationship to Jason. In his usual egocentric manner, Rogelio displays a confidence that he will solve Jason’s amnesia. When this fails, there becomes a sense of hopelessness amongst all of the characters, and the audience are encouraged to mirror this melancholic mood. The end of episode one seems to capture what the entire show seems to be surrounding currently: mystery. Rose’s plan of an ‘assignment’ is quite dramatic and an effective attention-grabber, and we as the audience are once again left at a cliff-hanger, eagerly waiting for the upcoming action. Although some fans were left disappointed with the loss of Michael’s character, and the return of something so uncomfortably unfamiliar, the performances displayed throughout are applaudable. Rafael’s (Justin Baldoni) powerful display of panic, sadness and fear to Xiomara (Andrea Navedo) creates an inescapable feeling of hopelessness in the audience as we feel extreme pathos towards him. Rodriguez and Dier’s performances are effective in the response from the audience which they produce, and this episode would certainly not satisfy the opinions of the fans if they did not evoke such pathos. Watch the trailer for season 5 of Jane The Virgin below.